All the latest articles covering the information that you will be craving to devour will be available via this category. From getting to know how indebted our company is to reading about the presidential elections; from knowing about new retirement plans to finding out how security breaches can affect your life; you can browse it all! For more articles, visit our articles’ section. Weekly Newsletter: Law Enforcement Officers, whether they are local police officers or members of the elite Secret Service assigned to protect Presidents and their families, all make significant contributions toward ensuring the safety and protection of all citizens. Law Enforcement Officers often do not get the kind of applause they should, and perhaps some of the owness, rests with them. But in large part the nation owes a debt of gratitude to these men and women who put their lives at risk to keep our streets and borders safe. Americans have the good fortune of getting up everyday going about their affairs almost in an oblivious manner. We don’t consciously in most of our towns, cities or states think about whether it is safe to leave our homes. We are used to living with the ease to go and come as we please without constant fear or danger. We enjoy those feelings because we are conditioned to feel safe as a result of the organized presence of law enforcement. This is certainly not to deny that we live in a time where violence and killing have become more than mere aberrations; but yet we still embrace an overall sense of safety and well-being. Tragic incidents like 9-11, Columbine, New town, Boston and many others not rising to the level of front-page newsworthy silence us for a moment, but we rise as a nation and begin again. We live in a nation where order is a high priority. We live in a nation where a 3 digit number can be dialed and someone will respond to your emergency. All human-engaged systems have glitches, ours is no exception. But we keep using our failures and short-comings to try to make good systems excellent systems. To Law Enforcement Officers, we applaud you from the White House to the hallways of our nation’s schools. We applaud you from the local jails to Federal prison systems, our museums and airports, vigilance on land, sea and in our expansive skies. We also honor and applaud LiteBlue, the postal police and inspectors who work hard to ensure packages delivered to our homes and workplaces are safe. To the men and women in law enforcement uniforms, we are safer because of you. This concludes our weekly newsletter. P.S. Always Remember to Share What You Know. In our posts highlighting Law Enforcement, we have talked a lot about QUALIFIED Law Enforcement Officers (LEO). What does that mean? Individuals are deemed qualified law enforcement officers (LEOs) as a result of, but not limited to, their government employment status and are authorized to engage in direct crime prevention, conduct investigations, detect illegal activity, prosecute or confine individuals violating the law. Law Enforcement Officers are in most cases authorized by their agencies to carry a firearm and must also carry on their person photo identification issued by the employing government agency. But what happens to the privilege and responsibility of carrying a firearm once the LEO retires? President Obama signed into law October, 2010, the-Law Enforcement Officers Safety Improvement Act amending the National Concealed Carry Law. The provisions under both Safety Improvement Act and the Concealed Carry Law identify two classes of individuals: qualified law enforcement officers and qualified retired law enforcement officers. The Act allows these qualified individuals to carry concealed weapons while off duty in any jurisdiction in the United States, including across states lines irrespective of state and local laws that make differ from the Act. The exception to this broad provision is that private citizens have the right to forbid concealed weapons on their property. States also have the right to forbid concealed weapons on its property. To meet the standard for a qualified retired law enforcement officer, individuals must have separated from their employing agency in good standing whose duties and responsibilities were clearly outlined and encompassed the full range of duties as defined by what constitutes a law enforcement officer. The individuals must have met within the most recent 12-month period firearm certification requirements from their employing agency and have also met the standards set by the State in which he/she resides. The individuals must also carry photo identification issued from the separating issue of which they were employed attesting to their status as a law enforcement officer (retired) with authorization to possess and carry a concealed firearm. Fitness analysis of LEOs must not indicate any mental or emotional impairment. 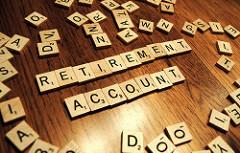 Retirement planning is a signifcant item on the -To-Do-List. Understanding the parameters in which LEOs can operate once in retirement is a very important aspect of the law to understand. The Act is detailed, many of the amendments may require some extra review and evaluation. There will also be many questions left in the minds of LEOs facing retirement and those already in retirement. I am a strong advocate of educating and sharing information with as many people as I can. My mantra has always been – Knowledge unshared is knowledge lost. Utilize your human resources office often during your tenure as a federal employee, engage with LEO organizations, individuals and colleagues to discuss and share information and concerns. If you are pondering as to how you are going to fill your time schedule when you retire, think about how much knowledge you have as a Law Enforcement Officer. You are a valued member of our nation. You might want to attach teacher, instructor, professor or consultant to your profile. Weekly Newsletter: The tornado season is upon us. The past week rounding out the month of April brought much devastation to families caught in the path of tornadoes. Heavy rains caused roads to give way creating huge sink holes. Flooding was up and down the East coast. What does bad weather have to do with Federal and Postal employees. The answer is EVERYTHING. These workers make up the largest workforce in the world making it highly conceivable that the workers and their families or someone they know will be impacted by disaster whether an act of nature or man-made. Because the Federal Government takes the possibility of such occurrences very seriously a program called PREPARE-ATHON shelter-in-place is a part of the government’s emergency preparedness efforts. The workforce actually has practice drills to understand what to do in case of such an emergency. When something unforeseen happens, the first instinct of the average individual is to leave the facility where they are and rush out to gather children and other loved ones. Although it is a natural instinct, it might not always be the safest step to take. Shelter-in-place programs are becoming more and more wide-spread because if workers can best be protected where they are and children can best be protected where they are, perhaps not the ideal situation for parents, then it might be the best and safest course to stay where you are. That is easier said than done, especially for parents of children of any age. We are reminded of the terrible winter storm in Atlanta where children were not able to leave their schools for safety reasons and parents could not get to them. When parents did try to reach their children, the massive pile up on the roads and expressways of Georgia were like a back-up we had never witnessed. Cars had to be abandoned and children had to sleep in schools for more than one night. There are many disasters that happen thus the reason for emergency preparedness plans that the workforce is thoroughly familiar with. The largest workforce in the world must be prepared to respond to such emergencies. In addition to the Prepare-A-Thon program, the Federal Government has a Dismissal and Closure Guide that outlines everything employees need to know. There is also an Occupant Emergency Plan. None of these programs are effective if the largest workforce in the world is not thoroughly familiar with them. If your agency is offering the Prepare-A-Thon program individually or in tandem with other agencies, participate so that you will be prepared and you will also be prepared to help someone else. Employees can take initiatives on their own by designating individuals in their agencies to be Emergency Preparedness Captains of Information. This only means that the Captains of Information are charged with staying abreast of safety and emergency offerings of their employer – the Federal Government and passing that information down to their colleagues. Email news alerts are great, but brown-bag lunch gatherings give workers to collaborate and discuss what they think they would do in case of an emergency. Based on the information discussed, Captains of Information could determine if OPM needs to add additional information to their emergency plans or if they have answered the call as is. Helping to get prepared is a burden we should all want to share. There is safety in numbers. For more information go to READY.GOV. This concludes our weekly newsletter. Arriving in the mailboxes of Federal Employees will soon be the 2014 Employee Viewpoint Survey. Employees have until early June to complete the survey. Every federal employee should actively participate in the survey because what you say matters. Employees know and understand what is happening in their agencies better than any other single source. Participating in the Federal Employee Viewpoint Survey allows leaders in the Federal Government the opportunity to really see how they are doing. It determines what strategies need to be employed in order to make government agencies more efficient and customer-centered. The Employee Viewpoint Survey gives employees an open opportunity to say what they feel, offer suggestions and ideas as to how to make government better. The Viewpoint Survey not only asks questions, but allows participants to comment. Even if you will be retiring soon, don’t fail to participate in the Survey. You have perhaps witnessed some things others may not have had the opportunity to see and the Federal Viewpoint Survey helps you share you knowledge. When the Federal Viewpoint Survey arrives, don’t leave it on the table or forget about it in your briefcase, do yourself a favor and respond because what you say as a Federal Employee matters. What you say drives the forward movement of agencies throughout the federal workforce. 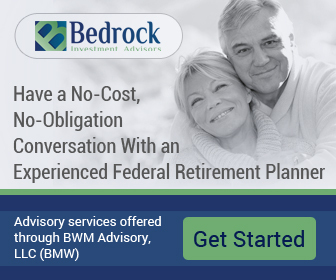 We have talked about planning with a particular emphasis on federal retirement financial planning. There is another aspect of planning that is very important in keeping the engines running and making sure all the pistons are firing properly. It is called Social Planning. Many retirees see their jobs as part of their socialization calendar. They are familiar with their coworkers, they see them everyday and they eat lunch and breakfast and visit the snack bar together. That is part of building a good and cohesive team. That is also a part of the work life. Let’s think about how to parlay those job-related social skills into building a social calendar for retirement. It is time to meet new friends and build new relationships. It is a time to try new things as your federal retirement represents the freedom phase of our lives. It represents a time where what we do and how we do it is more in our court than anybody else’s. When we are children we need our parents’ permission to do many of the things that guide our lives. When we become parents we are often limited by the schedule of our children and a growing family. When we retire, parental permission has long been a thing of the past and the children’s lives are theirs to settle their own schedules. It feels like freedom to me. Freedom to go and come as you please. Freedom to explore the world via traveling or the safety of your local library. Stay on top of your health so no grass will grow under your feet. Check out a dance studio and learn a new dance you previously thought was a challenge. Join a book club or start a book club to keep your brain sharp. To cast away the lonely blues, join a reliable travel group to have some safe fun. There is a lot of great activities that are cost-sensitive to put on your calendar of social events. Enjoy the freedom with your federal retirement that you’ve worked so hard to earn. It’s your ticket to RETIRE WELL. How does your TSP contribute to your ability to enjoy your social planning? 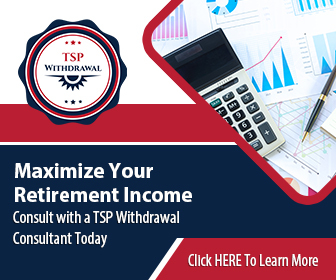 What is the best way to withdrawal money from your TSP? Federal and Postal Retirees today face a new and fascinating world, one many prior retirees never had the opportunity to experience. Federal and postal employees are a highly experiences group of workers with untold contributions to make to the society. The opportunity for these workers to continue being a benefit to society is enormous. Many of these retirees will reenter the workforce either part-time, full-time or as contractors. Federal and Postal Retirement are not the same as they once were. There so many challenges and opportunities awaiting the next generation of retirees. There are of course the opportunity to travel without time constraints and the worry of being a part of the leave schedule calendar. Others will return to school and pursue academic paths they never had the opportunity and time to complete. Because of the wealth of information that has been acquired through years of federal and postal service, many will be the teachers and lecturers in our colleges, universities and our elementary and high schools. It is not the retirement that your mothers, fathers and grandparents knew. They left the workforce and drifted into retirement not envisioing the many options retirees have today. 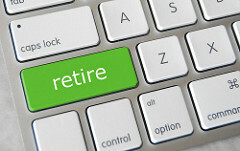 Retirees are living, often times, (30) years after they leave the workforce. They have a lot of living left to do and a lot of important skills and knowledge to share with the world. Federal and Postal employees represent the largest workforce in the world and the skills they possess range from A to Z. Any classification of employment you can think of they have it. They have the best of both worlds when it comes to education – they know it and they have done it. They are not only the house, but the brick and mortar that built the house. When we say see you later to the next generation of federal and postal retirement seekers that is exactly what we mean. We will see you later in another endeavor still leading the way to the greatness of our nation only this time it will be on your own terms. 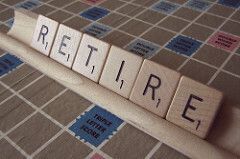 Federal Employee – Do You Really Want to Retire? 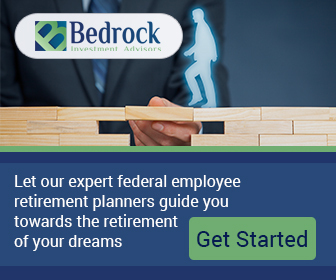 As a federal employee, In addition to carefully evaluating some of PSRetirement.com’s check lists of things to do as you get closer to federal retirement, here are some additional questions to ponder that may help you get ready to RETIRE WELL. 1. Are there other records I should check? 2. What records are needed for my health benefits? 3. What can I do if I am eligible to continue my FEHB coverage but my retirement payment will not cover the cost of my premium? 4. How do I make a payment to receive federal retirement credit for my military service after 1956? 5. Will I still get federal retirement credit if I worked for a time when retirement deductions were not withheld from my pay? 6. Will I still get federal retirement credit if I received a refund of the retirement deduction that were withheld from my pay? 7. How do I make a payment to get credit for service? 8. How do I know if I can retire on the date I choose? 9. How do I plan to provide benefits to my survivors after my death – will my FEGLI benefits be enough? 10. 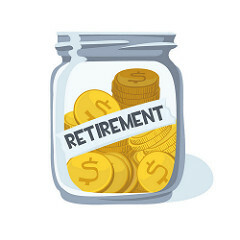 What is the Minimum Retirement Age (MRA) plus 10, annuity under the Federal Employees Retirement System (FERS)? 11. What happens if I postpone the Minimum Retirement Age (MRA) plus 10, annuity? 12. What are voluntary contributions? 13. How will I receive credit for my voluntary contributions? 14. What annuity estimates do I need? 15. Will I receive a cost-of-living adjustment (COLA)? 16. Will I get paid for my unused annual leave? 17. How will workers compensation affect my civil service annuity? We hope that our budgets will always show that our expenses are subordinate to our income. Make sure that your budget includes paying yourself first (PYF), such as maximizing our TSP contributions or at least taking full advantage of your employers matching contribution. After we have taken care of all of our expenses, we may not always have monies left over. Unanticipated expenses can present themselves at any time and they will and most financial professionals recommend having at least the equivalent of 3-6 months of income as savings for just this type of event. It is critical that you pay yourself first, otherwise you distribute money everywhere else and neglect to protect your future security by including SAVINGS as a fixed expense. Carefully check your bank accounts and bank statements ensuring the bank’s balance is aligned with what your records show. It is amazing how much money consumers lose each year due to banking errors and other inconsistencies. Banks do not always catch their errors. You must be your own chief executive when it comes to safeguarding your money. When you receive statements from your savings and investments, read them over carefully and check for error and omissions. Employers are generally accurate with paystub information, but errors do happen. Additionally, because the paystubs of federal and postal employees are so complex, even if your paystub is correct you may be spending THOUSANDS of dollars each year that you don’t have to in the form of overpriced FEGLI costs (search the internet for “FEGLI rate comparison” – you’d be surprised how much you can save). Check your statements carefully each time you receive one. Always keep the last statement of the year and compare it with your W-2. If everything matches you can place it in a file to get ready to file your taxes. If there is a conflict, go to your Human Resources Office and ask for an amended and corrected W-2. Are budgets forever? Can the budget you prepared 2 years ago help you manage your money today? The answer is NO. Budgets are not forever and what was true two years ago is not true today not where your budget is concerned. Even if your income has not changed, expenses have gone up and perhaps some have decreased or even been eliminated. Your TSP balance has certainly changed and possibly the amount of FEGLI that you should own. Budgets are not static, but must change as circumstances in your life change. Why do we need a budget? We need a budget to stay on track and monitor our expenses against our income. You may choose to keep your budget in an automated progam such as a spreadsheet like Excel or some other financial software program that you find suitable. You can also rely upon your bank / credit union or financial advisor to help you put together a realistic goal for both savings and expenses. Keeping your records organized and in separate files will make getting ready to file your annual taxes a cinch. You will not have to run around collecting and sorting mountains of receipts kept in shoe boxes. I am not saying you shouldn’t use the shoe box method of filing. If you do, your file boxes should act as individual folders all containing unique information. You don’t have to take all the shoe boxes to your accountant, rather you can separate the materials out into individually marked envelopes for easy assessment. Although, we live in an increasingly automated society many individuals are more comfortable doing things manually. The entire planning process and getting prepared for retirement is individual. The concentration and focus is more about you reaching your goals than on how you do it. We want to reach the finish line with our bags filled with everything we need to retire well. I had the opportunity to do a retirement planning seminar for a group of federal employees who asked a very important question. How do we set goals when we can’t predict what is going to happen in the next few minutes much less how our Thrift Savings Plan will perform over the next decade? The question absolutely speaks to the anxiety individuals feel when facing retirement or any kind of transition that might potentially change their lives from what is most familiar. Setting goals is not about predicting the future, but rather about anticipating the future. We may not know exactly when we will retire, but we do know that we have the desire to retire. We can’t predict when we will die, but we know most definitely that we will. We don’t know when we will be burdened with an illness or face some other unforeseen challenge, but we will. Such things are a part of living. Goal setting is not as difficult or consuming as all of that, it is the basis of the planning process, be it financial, educational, or otherwise. Many of us think of goal setting as a task, something that must have defined steps and approached as an assignment. Goal setting is unique and individual. The beginning of formulating your own individual goals is to get a clear understanding of the difference between wants and needs. There are some needs that are declared standard or common to the population. There may also be needs that are uniquely individual. However we define and set our goals it is important to prioritize what is most important over those things that can wait. For most of us resources are limited and spreading the resources over the needs that are a priority requires making careful and sound decisions – do we take that vacation to Hawaii this year or do we contribute a few extra dollars to our TSP funds, for instance. As retirement gets closer and closer, setting goals, prioritizing, distinguishing between wants and needs will influence your decisions and help you to understand effective decision-making now and in the future. Getting these planning tools under your belt will help you RETIRE WELL. To check your TSP.gov account you can login here. Most of us are not that meticulous when it comes to tracking every cent we spend or keeping a ‘spending log.’ Because we are not necessarily spending chunks of money, we think it does not matter. Most of us would be surprised about how much money we spend and how we spend it. Keeping a spending log on a temporary basis or a permanent basis gives us a snap shot view of our spending habits and helps redirect how we manage our money. As Federal and Postal employees prepare to transition into retirement, adopting some skills that will help salvage and build financial stability for a retirement that is estimated to last 30 years or more is a must do on pre-retirees to-do-list. From the time you started to read this post until the end, give a good guestimate of how much money you spend in a week, then in a month. At the end of your mental exercise, actually write down how you spend your money, total the amount and compare the actual to what you guessed you were spending. We are often heard saying – I don’t have enough money. That statement might actually be true. If you are working on a salary chances are you can’t change the amount of income you are earning, but you can control how you are spending your earnings. A gentleman I provide coaching services to embarked upon this exercise to determine if he could revamp his finances. I loved his choice of words – REVAMP his finances. Each day for lunch he drives to the local supermarket and uses the salad bar. He spends about $4.00 a day for lunch, approximately $80.00 a month plus taxes and whatever else he adds to that total during the course of a day. We will say that he spends $100.00 a month on lunch and probably $20.00 a month to drive from his office to the market each day. We are now up to $120.00 for the month and for taxes and other miscellaneous spending, we will add another $20.00, totaling $140.00 spent on lunch for the month. By most estimates, his spending is low. The average worker spends much more on lunch than our example shows. But even with spending $140 a month on lunch, some changes could be made to REVAMP his spending. He always talks about not having enough money. We came up with a way to make some adjustments. He would include in his grocery list, the items he prefers from the salad bar. He would make his own lunch and eat in the beautiful park next door to his office weather permitting. He could save on gas and not worry about rushing back to the office when the lines are long at the grocery store. When he began to analyze what he was spending, it turned out that by carefully watching his spending habits and keeping a daily spending log, he found an extra $200 a month he could put away in savings. It didn’t happen by osmosis. It happened by tracking his spending habits and finding the money within his own resources by REVAMPING his finances. Sometimes when there is not enough money it really means that we need to take a look at how we are spending the money we have. In addition to working on your spending – make sure you Thrift Savings Account is being maximized. If you’re nearing retirement – you should consider contacting a financial professional to help you with some of these items. Weekly Newsletter-HOW ARE WE DOING? ~~Weekly Newsletter – HOW ARE WE DOING? Weekly Newsletter: We just finished our taxes, most of us, and discovered whether we owed or were owed or if we broke even. If you broke even, then you are probably doing pretty good managing your taxes and your money. If you owed taxes, then it’s back to the drawing board for you. If you got a big, fat refund, then it might also be back to the drawing board for you as well. I am not asking you to turn down money; I am simply suggesting you don’t give it away. Getting a check that is legitimately yours always feels good. But everything that feels good is not necessarily good for you. Allowing someone to keep your money for an entire year and pay you nothing to use it, is not managing your money or your taxes well. Waiting for a yearly tax refund as some kind of big gift from the Internal Revenue Service (IRS) is as much of a myth as flying horses. A gift cannot be a gift when it is already yours. There is no lesson given that says – Avoid a Tax Refund. You see the mere word REFUND indicates that something is being given back to you that is already yours. The taxes you overpaid during the year are being refunded to you just as you doled them out. But it is really not the same money, it is actually less because the value of the money you gave to the IRS is not the same value as what they are returning to you in the form of a refund. Sometimes tax refunds are great if your deductions and other contributions are such that a refund is warranted. Otherwise, it might be a good idea if you are getting big refunds to pay a visit to your Human Resources Office and ask your payroll specialist to review your withholdings with you to avoid not having enough taxes withheld and having too much withheld. If you get a tax refund of $3,000, why not right-size your withholdings and place those funds in an instrument where you can earn interest and make your money work for you. The IRS does not need your money, but you do. You need it for the safety and security of your family. If you owe the IRS, you are charged interest plus penalties. The only reason it would make sense to let the IRS keep your money all year would be if the IRS paid you interest and a penalty fee for holding your money. It will never happen. The economy is not healthy for most Americans; therefore it is not a good idea to throw your hard earned money out of the window. It is not even a good idea to throw your money out of the window when the economy is robust. Manage your money by managing your taxes well. Living well in retirement means taking care of your resources now so that your resources outlast you. This concludes our weekly newsletter. Weekly Newsletter: Women’s History Month technically ended on March 31, 2014, but since the United States Postal Service has been the forerunner of placing women in the upper chambers of operations, we thought it noteworthy to dedicate our Newsletter Weekly to the United States Postal Service’s progressive and forward movement of honoring diversity and gender in the workplace. The Postal Service or the Post Office as it is called is the third largest employer in the United States and one of the few government agencies specifically authorized by the United States Constitution. Benjamin Franklin was appointed the first Postmaster General in 1775. As early as that time women were a part of the Postal Service as Postmasters: Sarah Updike Goddard, Lydia Hill, Katherine Goddard, Elizabeth Creswell, Sarah DeCrow, Mary Dickson, Rose Wright, Anna M. Dumas, Mary Summer Long, Kathryn S. Wilson, Elizabeth D. Barnard and Lucy S. Miller to name just a few of the women who helped to make the Post Office what it is today. Women make up a significant portion of the Postal Service’s more than 626,000 employees representing jobs from mail carriers to law enforcement. The U.S. Postal Service has played a monumental role in how we are able to communicate with each other from city-to-city, town-to-town, state-to-state and points beyond our borders. The Department of Defense partners with the U.S. Postal Service to deliver mail for the military both on land and sea called the Army Post Office and the Fleet Post Office respectively. As the Postal Service has created ways for the world to communicate and stay connected, it has also created several systems for its workers to stay connected. The LiteBlue page is the Postal Service’s intranet communication and information system. LiteBlue and PostalEase allows Postal Workers to participate in Open Season, check their TSP.gov account balances online with added security, along with make changes to their Thrift Savings Plan contributions or even stop or cancel participation. LiteBlue also allows workers to choose Flexible Spending Accounts, participate in leave sharing and leave exchange programs. Most significantly Postal Employees can review nearly every aspect of their benefits demographics to determine career growth and evaluate their retirement profile. LiteBlue is a convenient, fast and easy way for Postal Employees to stay connected so that they can make plans for their future and the future of their families. Statistically, women outlive men by more than 5 to 10 years. As we dedicate this Newsletter Weekly to the United States Postal Service and salute the women who help to make sure the world stays in touch, we also remind them that planning for their retirement future, ensuring the safety and security of their families is just another one of the many contributions they make to advance the greatness of our nation. This concludes our weekly newsletter. Buying back leave is a topic we want to discuss briefly because it can be incredibly important to both Federal and Postal employees. I think it is a very good topic to shed some additional light on. However, as always, everything that a Federal or Postal employee needs to know about their benefits can be found on the organization’s website or by contacting their Human Resource office, and buying back leave is not different (in the case of Postal employees – using LiteBlue and working with Shared Services). That being said, it is our great pleasure to discuss buying back leave and how it can be used as ‘Gap’ money or how Annual Leave can be shared through the Postal ALS program. As a past Federal HR Executive, one of my key responsibilities was to make certain our customers understood their benefits and how they worked in the most crystallized manner possible. Let’s see if we can do that again about a topic that does not come up as much as the more popular topics such as the Thrift Savings Plan (TSP), The Federal Employees Health Benefits plan (FEHB), the Federal Employees Group Life Insurance plan (FEGLI). These subjects generally always get top-billing. Let’s give Buying Back Leave top billing in this post. Buying Back Leave or what is commonly called Leave Buy-Back comes under the provisions of the Injury Compensation Program. When an employee is injured on the job they may be compelled to use their annual and sick leave while they are waiting for a decision from the Office of Workers’ Compensation Program (OWCP). When there is a traumatic injury employees are only permitted to buy back the leave they used after the end of the statutory 45-day continuation of pay period. When an employee buys back annual leave for a prior year that exceeds the prescribed maximum, the leave over the maximum is automatically forfeited. Employees can only buy back the amount of leave that is eligible to be carried over. Often times an employee may lose leave when the time they are away from their duty station is changed to Leave Without Pay (LWOP) as a result of the leave buy-back. When this happens adjustments are made to rectify both the annual and sick leave. I hope this explanation will make the situation of leave-buy back clear. If not, let us know and we will try again. There are a number of ways to make a great pot of soup. 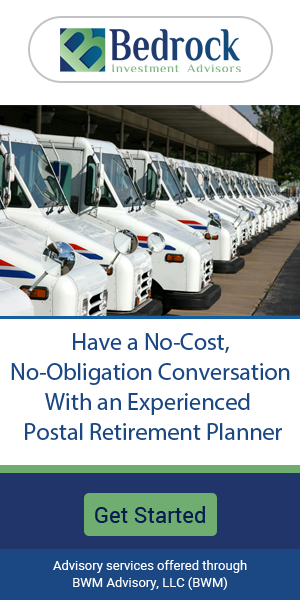 The Postal Service offers a number of ways to help their employees assist each other and transition from the workforce to retirement. Postal employees participate in the Thrift Savings Plan (TSP) among other avenues by which they can save and plan for retirement. One of these ways is the Annual Leave Sharing. The Postal Service has an annual leave exchange program of which employees may participate. In addition to the annual leave exchange program, employees have the benefit of an Annual Leave Sharing (ALS) program. The leave sharing program provides employees with the option of donating their annual leave to other employees under certain conditions. Many employees find themselves in the use-or-lose category at the end of the year because they have too much leave to carryover, violating the maximum carryover limits set under the Constructive Receipt provision of the Internal Revenue Service for the Postal Service. The leave sharing program allows employees to both donate and receive leave from other employees who are career non-bargaining and bargaining unit Postal Employees. The program is also available under certain collective bargaining agreements to non-career transitional employees. The leave sharing program assists many employees with not falling into an LWOP category that could create a financial burden on them and their families. The leave sharing program is also effective in that it is not a leave borrowing program where the leave must be paid back still placing a burden on the employee who is borrowing the leave. Such leave sharing programs are not only a benefit to employees who need to borrow leave so that they can remain in a pay status, but engenders a team building mechanism for the organization. In addition, leave sharing programs benefit the organization by showing an efficient utilization of leave benefits. Instead of calculating the amount of annual leave that is forfeited because of use-or-lose, it rather shows how leave is reinvested into the organization’s greatest asset- the workforce. Investing in employees is an investment in the retirement readiness of the workforce which is an investment in the future of our nation. The Postal Service offers Flexible Spending Accounts (FSA) to their employees. The FSA program is administered by United Healthcare for the United States Postal Service. There are a number of ways or portals by which Postal employees can enroll in FSA (Flexible Spending Account) during open season which generally runs from mid- November to the latter part of December with a grace period of approximately 2 1/2 months for those who are still participating as of the end of December or December 31, 2014. Postal employees can use PostalEASE to enroll in the Flexible Spending Account Program. They may call the Employee Service Line toll-free at (877) 477-3272 and press option 1. They may also use an employee self-service Kiosk and choose PostalEASE to enroll. Postal employees have the option of going to LiteBlue and choosing PostalEASE. They can also choose the ‘Essential Links’, and click PostalEASE at your LiteBlue account. Only career employees may participate in the Postal Service’s FSA program. To qualify the employee must have completed a minimum of 26 pay periods of Postal Service by the end of the pay period of the year in which participation is requested. If an employee has been in a Leave Without Pay Status (LWOP) lasting for 8 consecutive full pay periods as of mid-December of the current year, then the employee is not eligible to participate in the FSA program. The only exception is that the employee is returning from military service. Postal Employees are offered two FSA programs – the Health Care FSA and the Dependent Care FSA. Annual contributions are limited to $2500 for the Health Care FSA. The contributions are limited to $5,000 for a family and $2500 for a married employee who files separately for the Dependent Care FSA. Contributions are withheld via payroll deduction covering 26 pay periods in equal amounts. Employees may make a minimum contribution of $5 per period to either of their Flexible Spending Accounts. Employees may not change contributions amounts or cancel enrollment during the plan year except for certain qualifying life events. Although Flexible Spending Accounts do not transfer in retirement, they are a sound way of managing money and resources during the work career. Many families find them especially useful when they are growing their families and may have unexpected medical expenses and child care expenses. Every family and every situation is unique. Find the situation that best fits you and your family and start building for a successful and secure retirement future. Did you know that the United States Postal Service has an Annual Leave Exchange (ALE) Program available through the LiteBlue website? There is a lot of information on the Blue Page that can help you manage your employment life including a solid plan for retirement. The Annual Leave Exchange Program (ALE) provides that eligible career employees can opt to receive a lump sum payment in exchange for annual leave. You can only exercise this option during Open Season. Employees who are eligible receive the Letter on Annual Leave Exchange annually. The Annual Leave Exchange program applies to leave that will be earned during the next year. Once you have made the exchange, you are no longer eligible to use the annual leave. There are also other conditions that apply. Postal employees classified as working full-time and part-time regular career employees that are not a part of a collective bargaining unit can opt to exchange the annual leave they will earn for the next year for cash up to 128 hours. They must also have an annual leave balance of 160 hours at the end of a current leave year. Under some Collective Bargaining Agreements that cover full-time and part-time regular employees, they must have a leave balance of 440 hours at the end of the leave year. They also must have used less than 75 hours of sick leave during the leave year to qualify to participate in the annual leave exchange program. Upon meeting the qualification requirements, these employees are allowed to exchange up to 40 hours of the annual leave they would earn during the next leave year. There is also a “Constructive Receipt” clause in the Annual Leave Exchange Program as governed by the Internal Revenue Service. It stipulates that Postal Service employees are not allowed to exchange leave already earned that exceeds the carryover limit for the Postal Service. Employees that are in a Bargaining Unit have an annual leave limit carryover of 55 days or 440 hours. Those under the Executive and Administrative Schedule have an annual leave limit carryover of 70 days or 560 hours. There are a number of ways by which Postal Service Employees can make their ALE elections. They may use PostalEase Online, LiteBlue, Blue or one of the many Kiosks designated for employees to conduct business. Postal Service Employees may also use the Self-Service Phone option by calling (877) 477-3273). Always make certain your contact information is correct and updated on LiteBlue so that you can receive valuable information that will help you make important employment decisions that will also help you retire well in the future. LiteBlue ‘My Benefits’ also house additional benefits information and solutions for Postal employees. In addition to an explanation of benefits, LiteBlue offers a Monthly Planning Calendar that contains pay periods and pay dates and holidays. The LiteBlue calendar is designed to help Postal employees track their plans and things to do via a monthly planning calendar. Postal employment opportunities are also advertised via LiteBlue. The comprehensive communications dynamic offerd through LiteBlue continues with eReassignment, allowing Postal employees to apply for reassignment in other districts where availability exists. Health Care Providers are also listed giving Postal workers access to their health plan providers with the ability to search and compare health care plans and review health plans on a state-by-state basis. Thrift Savings Plan (TSP) detailing account information, fund investment elections and publications. The benefits offered to Postal Employees through LiteBlue not only provide security in building a life their families can depend on, but extend into retirement with proper planning. All the information is placed in one convenient location so that planning for your retirement future is made easy. Let LiteBlue help you retire well. Logging on to the LiteBlue program brings you into contact with My Benefits. Under the LiteBlue program ‘My Benefits’ tab Postal employees can access and understand all the benefits offered to Postal employees. Again, family members can learn right along aside the employee about benefits and how they work now and in retirement. Through LiteBlue My Benefits – Benefits Management addresses a whole plethora of benefits options including forms, health benefits (FEHB), life insurance (FEGLI), retirement programs (TSP.gov) and other topics that are critical in career development and retirement planning. Review the list below to familiarize yourself with all the information My Benefits has to offer that impact you and your family. This is a most important section of what the Postal Service’s next generation in employee communications has to offer. Everything that really impacts how an employee will plan to live in his or her work life and in retirement is compacted into Benefits Management. Employees and their spouses and family members have the opportunity to plan at a glance. Knowing how benefits work now and in your retirement future is what will give you the comfort and security of knowing that your plans are working for your retirement future.